In this industry and well with anyone with a full time career, it is hard to get together with some of your friends in the same career. The other night I finally got together with two ladies that I adore in the photography world. We met for cocktails and delicious food at one of my favorite places in Stevens Point – Father Fats Since day one of meeting these ladies they met me with open arms, and heartfelt kindness. I enjoy my time with these girls so much – but sadly we don’t get to do it enough. This was the first time in MONTHS that I have seen one of them – we talk a lot online but come on people that is not real visiting with friends! The people you meet in life change you, some for the better and some you didn’t even know changed you. I have met so many wonderful people since starting this photography adventure, both personal and business! The photography world is a pretty awesome one – some of the woman and men that I have met are some of the most uplifting, helpful, and fun people I have gotten to meet. We are like minded, can vent to each other and understand and give advice, we have online wine and drinking dates to relax after a long day or weekend. They are all pretty darn awesome! I don’t know what I would do without some of them in my life! I have also sadly met some people in the industry, that want nothing to do with me and give me the brush off because they think of me as competition. Yes we are in the same industry, but there is enough of us to go around that there is a photographer or client for everyone! And look at the people above – aren’t they just awesome! It speaks for itself on how awesome my clients really are! I am thankful every day for each and every one of my clients and friends – and the clients that have turned friends! I love and adore you all! With this business it has also reminded me of how important real friends really are. With this crazy awesome busy year, I haven’t been able to see some of my friends and family as much as I wish I could. They know I am busy and understand – but I shouldn’t be too busy to hang out with the ones that I care about. The past year has been awesome, but challenging to create balance. I am working on organizing my business life so it works smoother, and I am working smarter not harder or longer. This winter will be filled with getting ready for 2015 wedding season! I already have 17 booked, and with some of the BEST couples I could ask for! 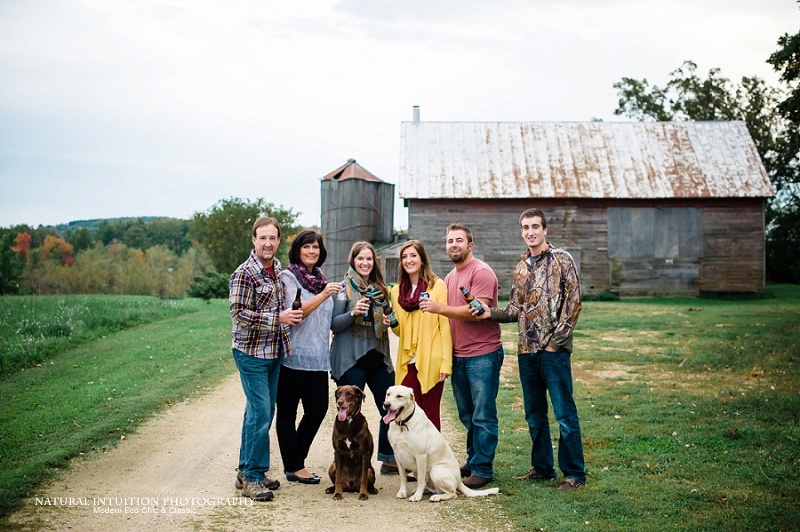 Couples from from Illinois, Montana, and Minnesota – coming back to good ol’Wisconsin to tie the knot! Oh my gosh I can’t wait! I have also met some of the most like minded, strong willed in both personal and their business life, and they push me to be a better person and a better business owner. Some don’t even know how they effect my life, but they push me everyday to keep going and grow more and more!